This article originally appeared at LobeLog, which is a treasure trove of valuable foreign policy analysis. I hope you will check the site out, I’m sure you’ll find it worth your while. Headlines today featured news of a spike in oil prices based on fears of an Israeli strike on Iran. That fear is based on last week’s major uptick in Israeli rhetoric — mostly from Defense Minister Ehud Barak — which was geared toward goading the United States into military action against Iran. While tension has indeed risen, Israel’s tactics could backfire. The “ours” Barak referred to was that of himself and Prime Minister Benjamin Netanyahu, whose assessment differs not only from the Obama Administration’s, but also from Israel’s own military and intelligence establishment. Netanyahu and Barak’s take also differs from Israeli public opinion about the threat Iran poses. In a poll conducted by Israel’s Channel 10 and announced earlier today (Hebrew only), only 23% of Israelis support a strike on Iran, while 46% oppose it. But Netanyahu and Barak had indeed attempted to sway public opinion. The day after Barak’s statements, Israeli headlines were devoted to a possible strike on Iran. Netanyahu also proceeded to rekindle Holocaust fears and another article appeared in the Israeli daily, Ha’aretz, with an anonymous “decision maker” — almost certainly Barak again — warning about the unspeakable consequences of a nuclear Iran and urging action. It’s no surprise that markets are reacting with fear to all of this, but what can we make of recent events with a more sober eye? For one, Netanyahu and Barak are growing more concerned about the potential for an attack on Iran — something they want very badly. They are also now playing a much higher-stakes political game in order to get Iran attacked. As Ha’aretz editor-in-chief Aluf Benn points out, Netanyahu and Barak have been screaming hysterically about Iran while other world leaders haven’t been all that concerned about their complaints. Israeli rhetoric has been escalating steadily for years now, but there are good reasons to believe that there will not be an Israeli attack. First, there is serious internal opposition. Second, Israel isn’t likely to strike Iran because it doesn’t have, by itself, the capacity to destroy or substantially set back the Iranian nuclear program. In other words, Israel can’t make the minimal gains required to justify the risks and consequences of taking on Iran alone. Many analysts have believed for a long time that the Israeli strategy has been more about pushing the US into an attack on Iran rather than actually setting the stage for an Israeli one and this past week seems to support that theory. The election season has been widely viewed as one where President Obama — who is very dependent on pro-Israel donations but who is viewed as a less-than passionate supporter of Israel despite having done far more to support Israeli security than any US president in history — would be particularly vulnerable to pressure to act on Israel’s behalf with regard to Iran. But Israel’s game of political pressure can be a tricky one. Desperation seems to have taken hold of Barak and Netanyahu, despite the fact that both the US and Europe have imposed unprecedented sanctions on the Iranian regime. They seem to fear that all that pressure is simply not enough. Meanwhile, the fact that both US and Israeli intelligence cannot be persuaded to back their claims about an imminent Iranian threat has caused them to turn to the public arena. But even the grounds of public opinion are not proving terribly fertile. Israelis oppose an Israeli strike on Iran. Polls conducted in Israel have consistently shown support for Israel to take part in an American or joint operation instead. And, despite the level of anxiety in the US, support for a strike on Iran is lukewarm, except under the most dire conditions, and even then it is far from overwhelming. As an absolute last resort, about half of US citizens would support an attack on Iran, but far less support it otherwise, with 13% being the last reliable figure derived from polling. Even the sudden rise in oil prices may be a double-edged sword. High gas prices will certainly work against Obama in November, but will that really push him toward a more aggressive stance, or an outright attack, when that would also result in an even bigger jump in gas prices? On the other hand, the looming election may make the Obama administration more conservative with its Iran policy. Would Obama seriously consider potentially involving the US in a whole new military engagement at a time when most Americans are tired of seeing US troops injured and killed in MidEast wars? Netanyahu and Barak are meanwhile painting themselves into a tightening corner. Their heightened rhetoric and stronger push toward war will leave them with egg on their faces if no attack comes and if Iran continues — as US and Israeli intelligence suggests — to refrain from taking the steps necessary to actually build a nuclear weapon and simply continues to increase its ability to do so. 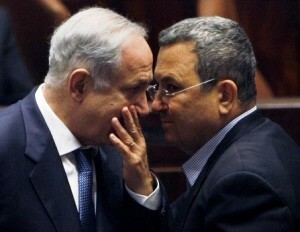 Netanyahu and Barak no doubt fear that after the US election their task will be even more difficult. Obama will be somewhat less vulnerable to political pressure in a second term, and even if the presumptive Republican nominee Mitt Romney wins, he may well be less eager to actually attack Iran as President. Romney has a much better relationship with and similar worldview to Netanyahu and his current foreign policy advisory staff is stacked with neoconservatives, but the political realities of being in the Oval Office often differ from those projected on the campaign trail. Romney also wouldn’t actually assume office until mid-January and a lame duck President Obama would be extremely unlikely to launch an attack on Iran. In their desperation, Bibi and Barak are straining US-Israeli ties in the long term. For the first time in its history, Israel is being perceived as not just pushing for US support, which is popular among US citizens, but for the US to go to war for Israel, a concept which is highly unpopular. This is why the American Israel Public Affairs Committee (AIPAC), while pushing hard for tougher stances and for maintaining the “military option”, has steered very clear of anything that could be interpreted as an open call for war on Iran, however much they might like to make one. It is also why so many of their efforts have been geared toward trying to sell the US public on the idea that Iran poses a much graver threat to US security than it actually does. Barak’s attempt to use leaked US intelligence to pressure Obama into action also broke a cardinal rule of intelligence sharing among allies — you just don’t go public with such things. This breakage of trust will likely be forgiven like so many other incidents where Israel acts like a less than loyal friend to the US. But this incident will likely affect Barak’s relationship with US officials and, given his long-standing diplomatic relationships with non-elected US diplomats and Bibi’s lack of popularity among those same folks, turn into a loss for Israel, at least in the near term. In fact, it’s hard to see any ground gained toward war with Iran from Netanyahu and Barak’s maneuvers apart from the general heightening of tensions. Indeed, Obama remains committed to diplomacy and sanctions, the US and Israeli military and intelligence communities still contend that it’s a bad idea to attack Iran, and Netanyahu’s own cabinet remains deeply divided on the issue. For its part Congress has continued to beat the sort of drums Bibi wants them to, but they do not, in the end, want to send US troops or fighter planes into another battle in the Middle East. In the end, it is the President who makes the decision to go to war and despite Israel’s upping of the stakes, the only clear result from Netanyahu’s efforts so far is that people have become more nervous about the prospect of war.